Holiday Cheer — Nom Voyage! This is my first holiday season ever spent outside the U.S. and it's been really wonderful to have the opportunity to experience it in Portugal. I was really psyched to see that come the 1st of the month, a fartura truck was set up in the parking lot of our Pingo Doce. I'm kind of obsessed with these long, churro-like sticks of fried dough rolled in sugar and cinnamon that are commonly found at most celebrations and festas. I'm fairly certain that given the opportunity, I could injure myself in the stomach region with these. 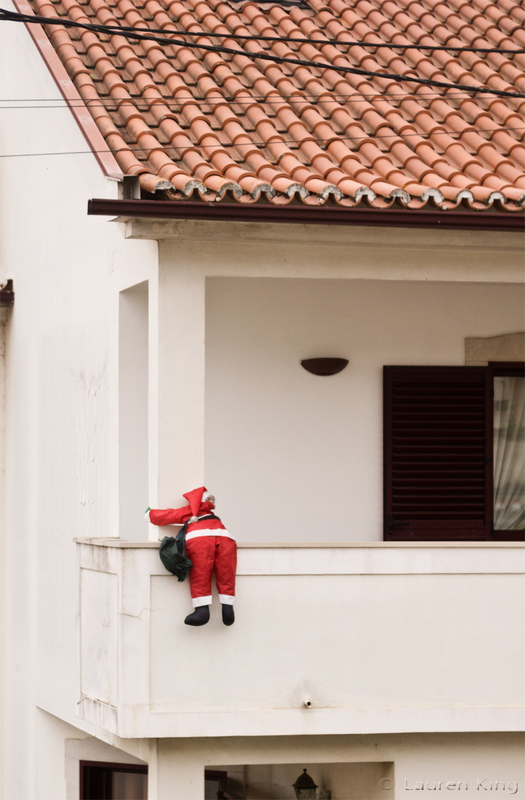 Something we noticed that was different from America was how Santa Claus takes the difficult route - he scales the walls and then breaks into the homes, instead of landing on the roof and going down the chimney. This poor Santa's been stuck here for weeks, like he just gave up from the exertion. It's probably better off for Santa not to go down the chimney, because there's no way he'll fit in my tiny fireplace. Plus, fire. One of the things I didn't notice over here was the presence of any decorations or accessories for holidays other than Christmas available in the stores. I think there's probably a greater percentage of people celebrating Hanukkah, Kwanzaa, and other holidays in the US than there are in Portugal, but this is a seriously untapped market. The Bolo do Rei is a cake similar to the King Cake of New Orleans. There's usually a dried fava bean inside and whoever gets the piece of cake with the bean is the winner and receives some sort of prize, but is also responsible for buying next year's cake. I got this one at Continente, but I would highly recommend purchasing one from a pastelaria made from scratch. I wanted to try this, since it's a holiday tradition in Portugal. However, I'm not a fan of fruitcakes, especially panettone-style fruitcakes, and that's basically what this is. 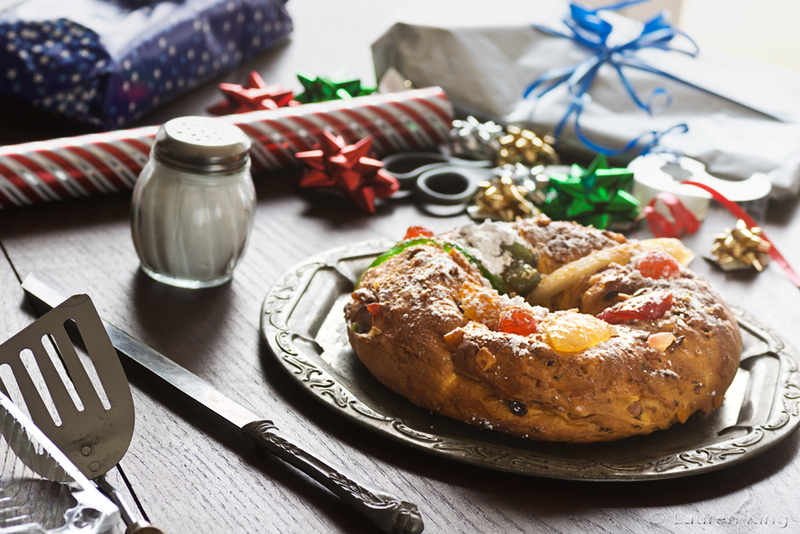 Happy holidays, good cheer, and the best of noms to all!